We’re turning the tables on vinyl records like we’re Grandmaster Flash, with Vita Perfetta’s Vinyl Vignettes! 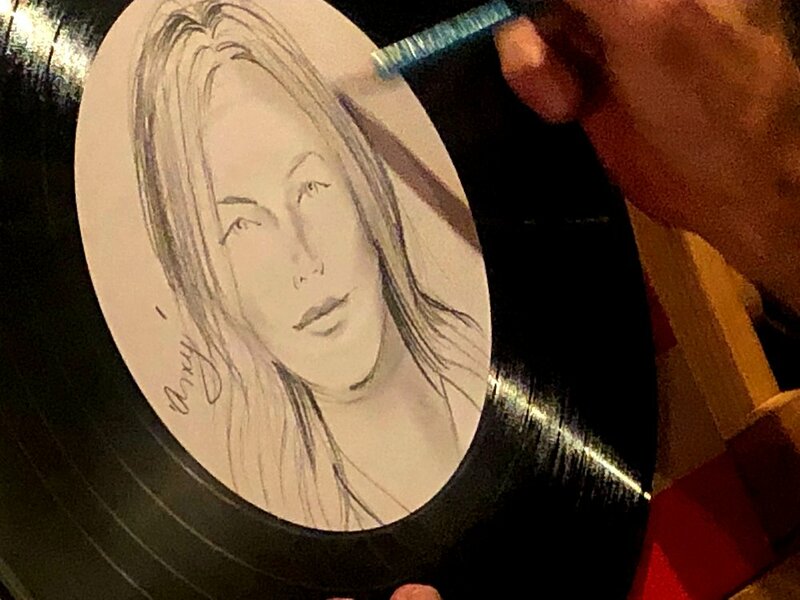 Pick your favorite original record, then let our vinyl sketch artist draw your portrait in the center of it. 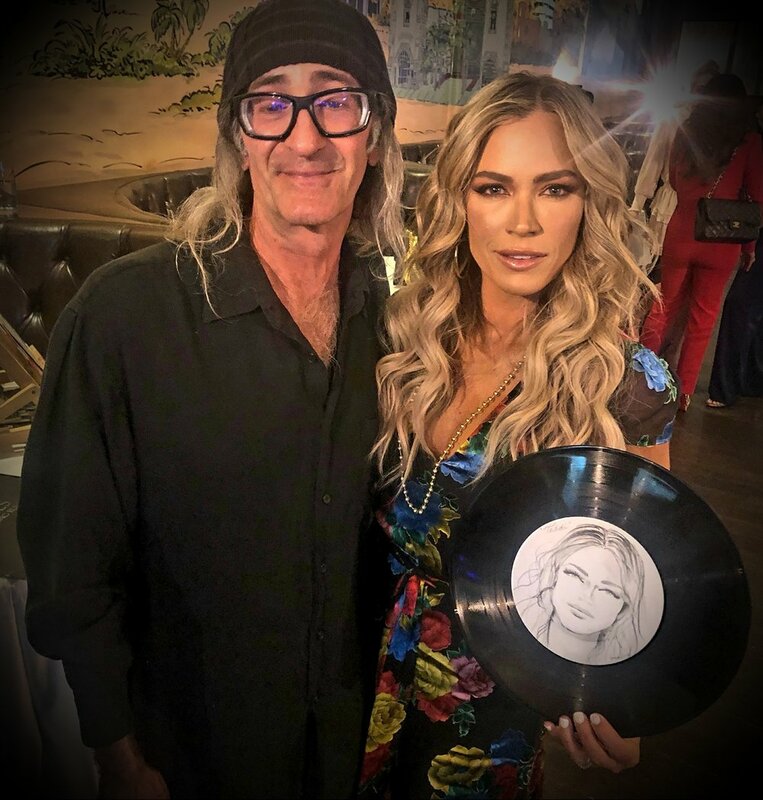 Once your face is in place on the record, put it back in its original sleeve or keep it on display; either way you’re now a part of a treasured classic track. 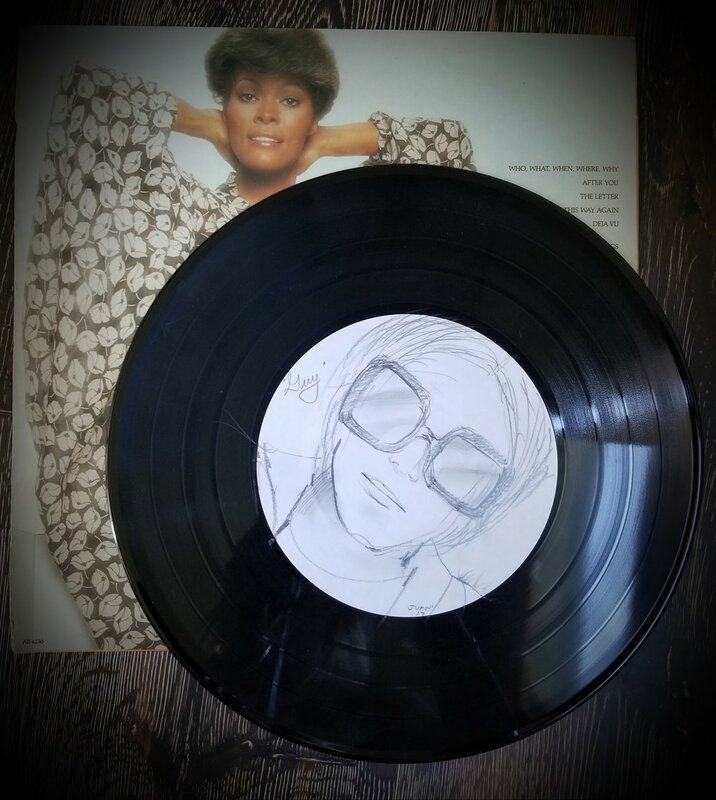 Any era, any album, this is decades worth of phonographic fun! Swing like it’s a ‘50s doo-wop. Rock n roll like it’s a ‘60s show. Get groovy like it’s a ‘70s disco. Dance like it’s an ‘80s pop music party. Wanna turn the volume up a notch? Go with our metallic 18k gold option. 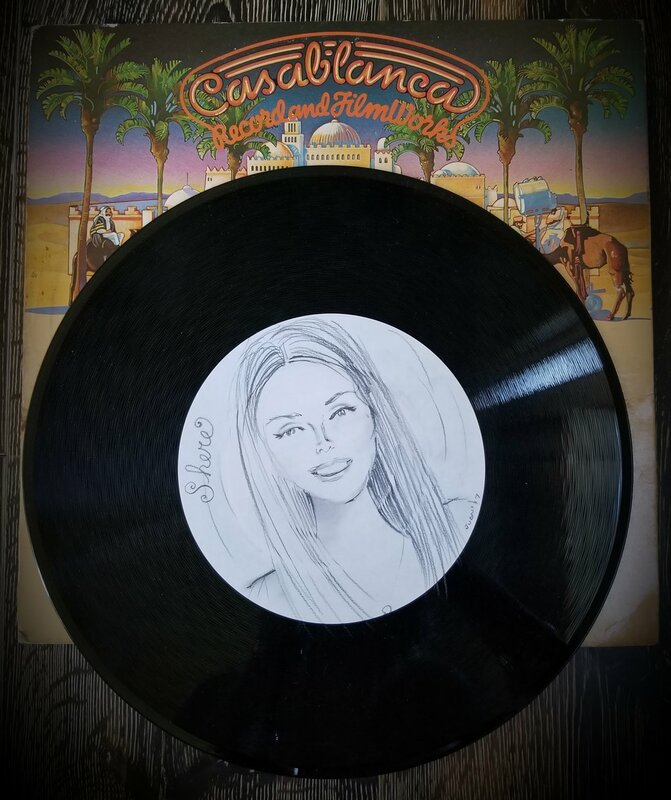 The same stunning sketch is drawn in the center of the disc, but the rest of the record is transformed into a golden vinyl, perfect for placing front and center on display. See yourself in stereo, with Vita Perfetta Vinyl Vignettes!